Hurry ! 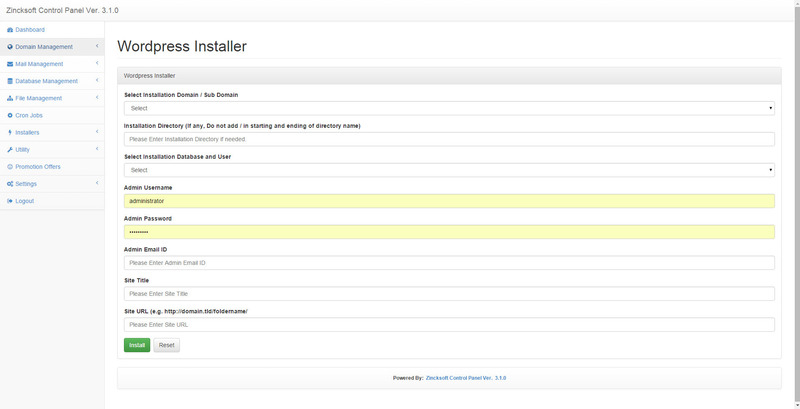 Zincksoft Control Panel 4.2 is Now Available with AIO Installer for CentOS, Debian, Ubuntu. 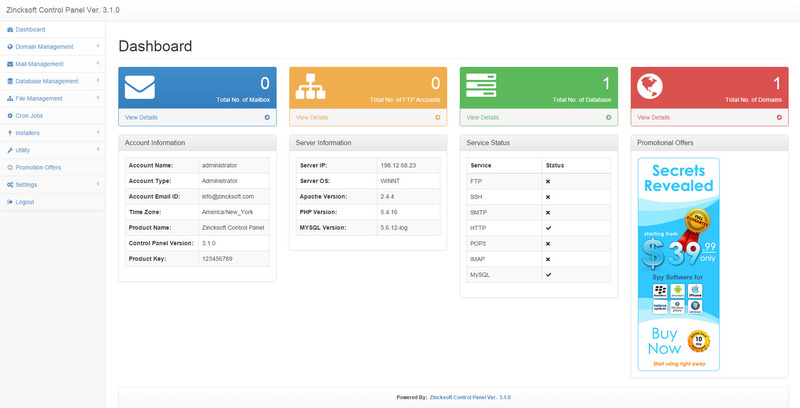 Zincksoft Linux Web hosting control panel is same like Other panels etc. where you can manage your server. 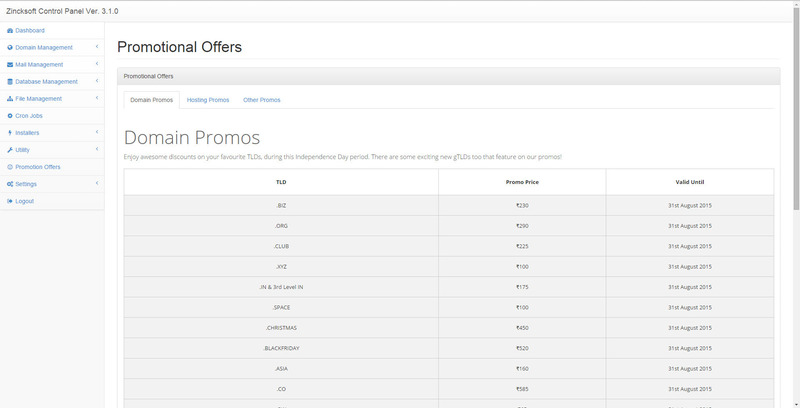 it has simple interface, do not have any monthly fee. 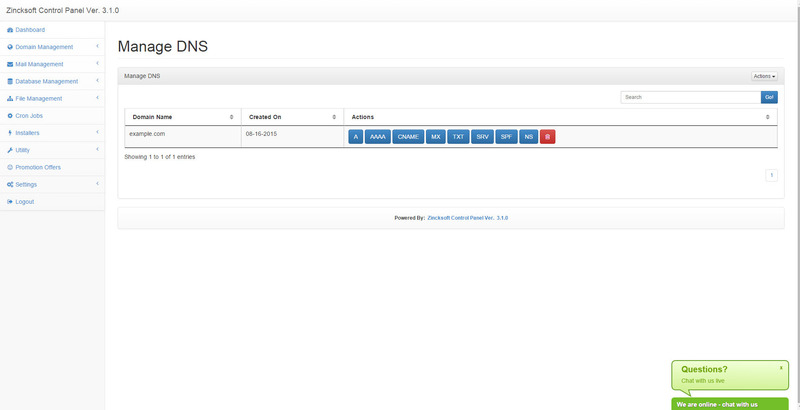 Our Control Panel is only for Linux Servers (VPS, Dedicated etc). Now you can manage your Linus VPS Servers without paying manage fee to hosting company. it is written in PHP and uses many open-source (or Freely Available) software packages to provide a secure, web hosting system. 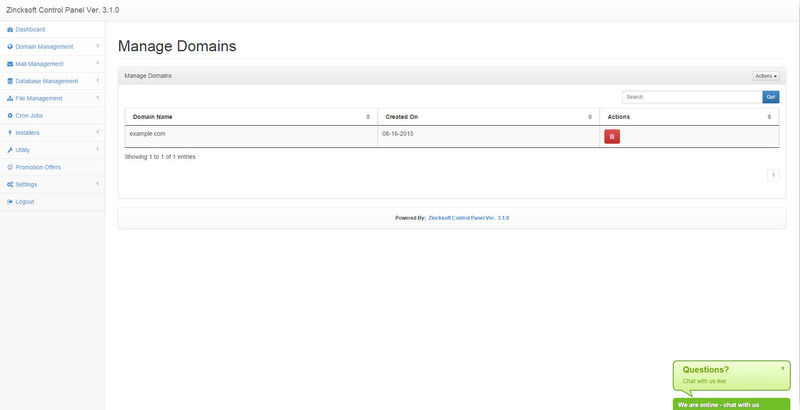 with our control panel you can Manage your Domains, DNS, Cron Jobs, Mailbox, FTP Users, MySql database and users etc. we have also included few tools like PhpMyAdmin, File Manager, AfterLogic Webmail Lite, PhpInfo, System Info, IP Blacklist Checker, Installers and many more features etc. Currently our Installer Support CentOS 6.x, 7.0, Debian 7, 8, Ubuntu 12, 14 Operating system for installation, we will include other Linux Server Installer soon in our next updates, it is in third stage we are hoping to include more features and APPs in our next update. (20) Support For Plugins, We will be including more in our next update or you can suggest us. Unzip the File that you get after Purchase. Get Install.sh file fron the folder. As the install starts, it will ask for timezone and confirm server, after that it will install everything and in the end ask for restart. 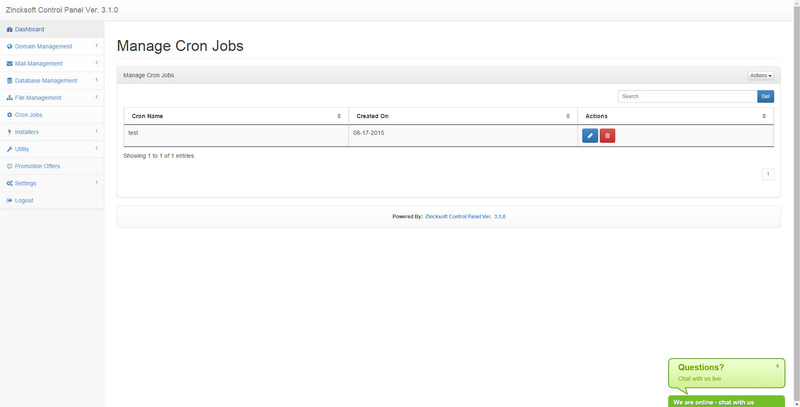 Note : it is fully working demo of the Control Panel, please do not misuse it for mass email or upload large files. server will reset on every 4 hrs. (6) Ban IP on 3 failed login to protect from brute force. (1) Removed SQL Injection Issue and some bug fixes.